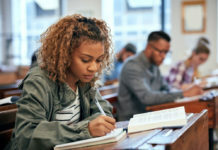 These days, students have multiple ways to get credit for college courses – and save college tuition – while still in high school. We asked a few from East Kentwood and Rockford high schools which options they chose, and why. Related: AP or early college? What’s a student to do? 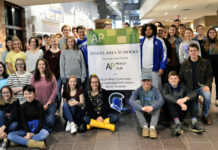 Kyle is tallying up Advanced Placement courses, hoping to start college next year with a semester’s worth of credits completed through AP calculus, AP biology and AP economics. Kyle said he would have enrolled in EK Middle College had it started his sophomore year. The program started last semester. 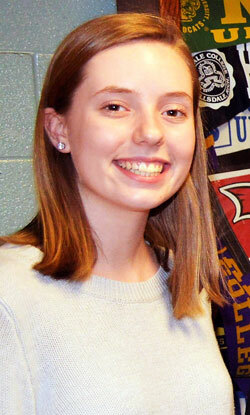 Elsa is taking an AP language and composition class this year, which also earns her credit at Ferris State University. 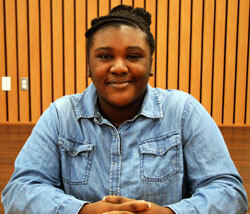 She took AP U.S. history as a sophomore, and plans to take AP psychology, calculus and literature as a senior. 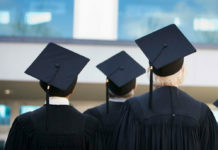 Besides the lure of earning college credits without racking up tuition costs, she says the courses help her learn college skills such as time management and preparing for a major exam. Plus, she enjoys the classes. Although a lot rides on getting a good score on the AP test, she figures that helps her gear up for the demands of higher education. She’s considering Hope College or the University of North Carolina. 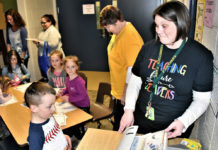 In August, Olivia started taking the Grand Rapids Community College courses, “Introduction to College” and “Environmental Geology” as one of 25 students in the first cohort of EK Middle College. 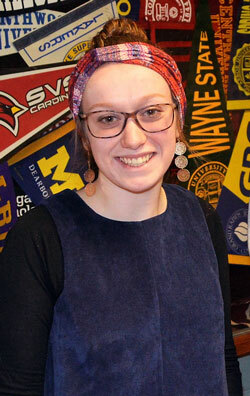 She and her peers will take two college courses each semester through their senior years taught by GRCC instructors at East Kentwood. 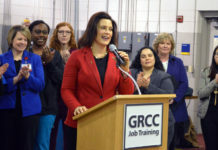 They will then complete a fifth year, technically still as East Kentwood students — but with classes on GRCC’s campus full-time — to earn a tuition-free, 60-credit associate of arts degree. 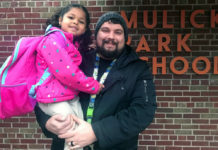 “At first I just wanted to try something different,” said Oliva, who is considering transferring to Michigan State University after GRCC to become a special education teacher. 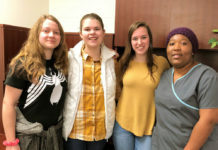 “I could have taken AP, but now I’m actually getting college credits and I don’t have to take an exam,” she added, referring to AP’s requirement to earn college credit. Potential savings are huge. The cost of full in-state tuition plus room and board at MSU is $24,844 per year. Starting with two years completed could save Olivia nearly $50,000. 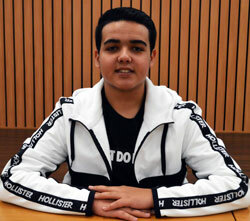 Jad joined EK Middle College because he saw it as a can’t-lose option. He explained: “In the beginning I wanted to challenge myself. I needed a challenge. He wants to be a defense lawyer and plans to transfer from GRCC to MSU or Ferris State University. 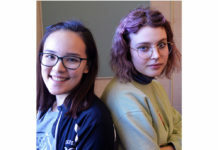 Olivia and Jad said they will try to squeeze AP classes into their busy schedules to build their stack of college credits even higher. 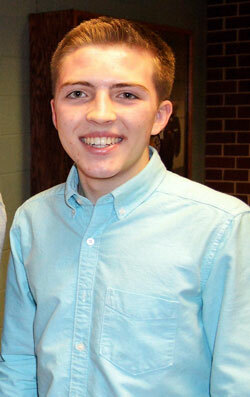 Jacob is taking classes in AP calculus, physics and biology. 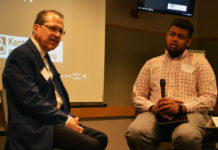 But he’s also taking college courses, in health care and medical terminology, from Grand Valley State University as part of Rockford’s dual-enrollment agreement with GVSU’s health science program. 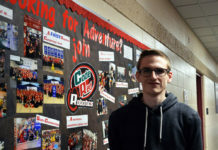 Along with two AP courses he took last year, and a Ferris State senior composition class earlier this year, Jacob figures on piling up about 15 college credits by the time he graduates. That should give him a great jump on work toward a degree in the biomedical field, either at MSU or Central Michigan University. Jacob said he’s happy to take advantage of both AP and early college courses, to save money and get college basics out of the way. 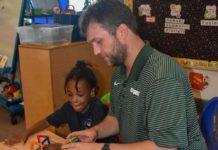 He hopes to be doing graduate-level math by the time he’s a college freshman or sophomore, putting him further ahead toward a career in medical research. He said he relishes the challenge of college-level work. Jake is taking AP statistics, and took a senior composition class first semester through Rockford’s concurrent enrollment agreement with Ferris State University, in which Rockford instructors teach FSU-level courses. 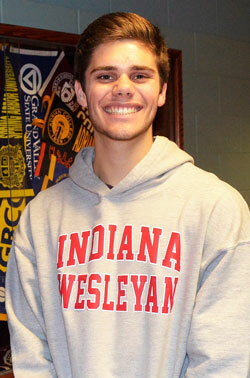 He is counting on both classes to help him get started at Indiana Wesleyan, where he has a baseball and academic scholarship. 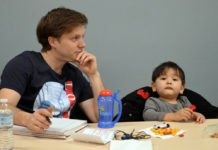 He says the courses help with his GPA and get him an early start on his business major. Because of the scholarship, he has to play ball for four years, but the college credits will still help, he says. 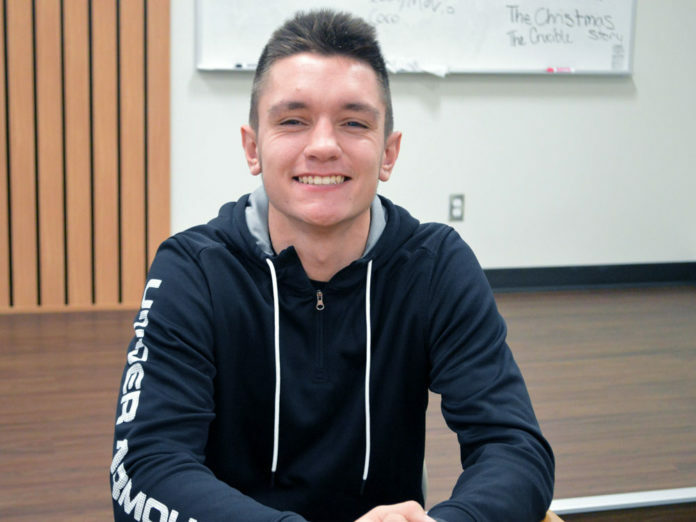 “It’ll just get me moving quicker to my major, and knocks out these classes that I would have to take,” Jake said, noting the FSU credits will transfer to Indiana Wesleyan. “I think the AP classes prepare you so well for college,” he added. 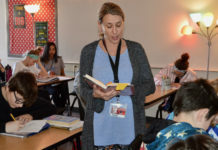 “The teachers do such a great job. They run it like a college class. 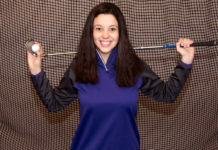 Riley also took FSU senior comp, which doubles as an AP class, and is taking AP psychology. The latter class causes her some anxiety, knowing she must pass the test to get credit for it. 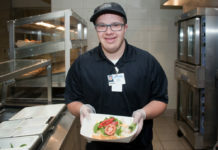 Riley plans to major in special education and get a master’s in school counseling. 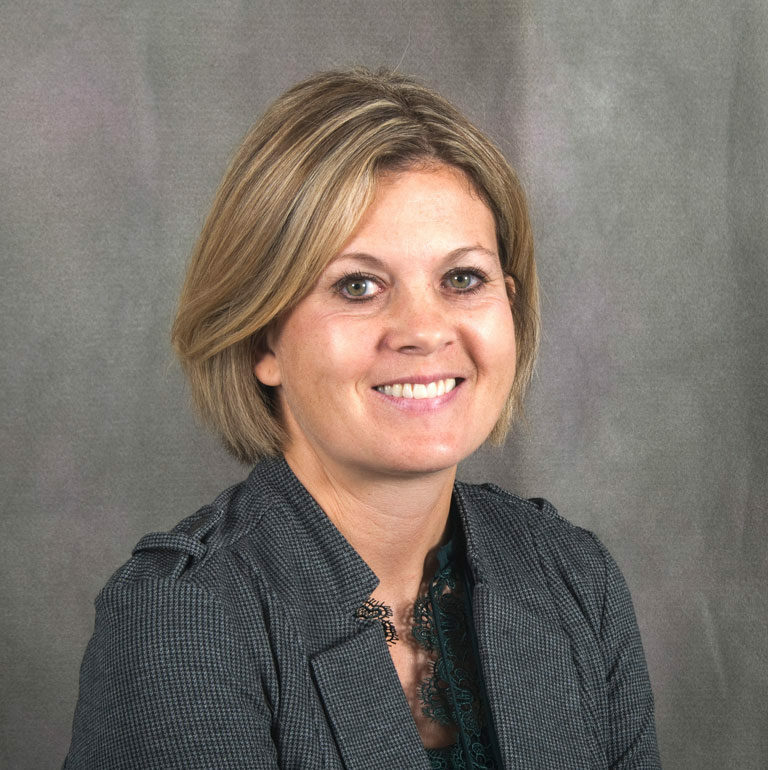 She’s looking at Taylor University — which carries at $35,000 tuition tag – and needs to score at least a 3 on the 5-point AP test in order to get college credit. Either way, she would still earn high school credit and gain background in her field. She preferred the FSU course and excelled in it. The teacher was tough, she said, but in a good way.